This monumental volume highlights the esteemed Estella Collection of contemporary Chinese art, with works spanning from 1966-2006. 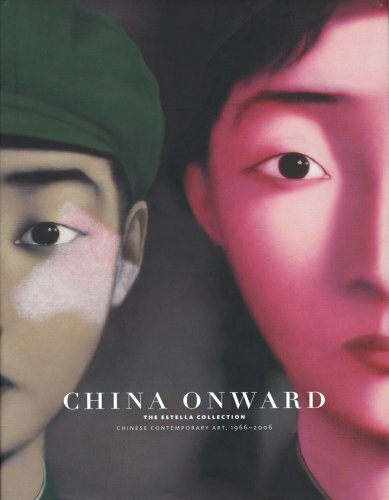 At more than 450 pages, and standing more than 13 inches tall by 10 inches wide, it features an abundant supply of lavish full-spread images and remarkable details of work by virtually every major contemporary Chinese artist to have contributed to the pivotal, revolutionary moment that has lasted from the 1970s until today. Some of the contributing artists include Wang Keping, Huang Rui, Ai Weiwei, Cai Guo-Qiang, Cai Jin, Feng Zhengjie, Wenda Gu, Huang Yong Ping, Rong Rong and Inri, Su-en Wong, Xu Bing, Yue Minjun and Zhang Huan. The breadth of work collected within the covers of this catalogue is so far unrivalled in quality and range. With impeccable scholarship for specialists as well as a lucid and accessible introduction for the wider public.